With their first full length, Everything Touching, Fallmouth’s trio Tall Ships has crafted an album that’s chocked full of unexpected twists and turns which all end up leading to an incredibly splendid work that’s certainly way overdue. To say this album is well rounded would be a serious understatement. 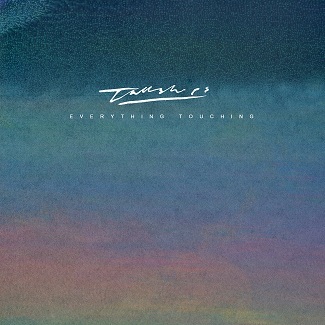 Everything Touching is the culmination of the various style changes that Tall Ships has gone through over the years and it’s evident in the layers of diversity and emotion heard on each track that the group refuses to be pinned down into by labels. The track “Phosphorescence” is driven by upbeat and fun pop tendencies, calling for listeners to sing along with every word, while “Gallop” moves towards more of a post-punk direction that’s, at times, reminiscent of Joy Division. “Idolatry” is probably the slowest number found on the album, but you can’t help but to sway along with the relaxed harmonies and ultimately get lost in its six-minute long duration. Like all albums, an end is inevitable, but Tall Ships shines with the steady building/closing instrumental track “Murmurations,” and once Everything Touching is over, you’ll wish that you could relive through the moment all over again. Luckily though, there’s a repeat button and while you can’t hear an album for the first time again, Everything Touching never loses its beauty and charm and it gets better with every listen.